Dr Nana Morkane is a visionary healthcare leader in the field of Pain Management with an advanced training in Interventional Pain Management. Dr Morkane is M.B.B.S, M.D. (Anesthesiology) Practicing as Spine and Pain Management Specialist for over 16 years in Mumbai, India. 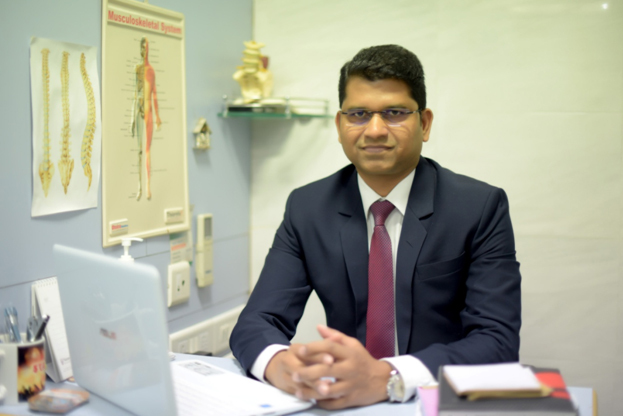 He is one of the best Pain Management doctor in Mumbai, India. He has completed MBBS from Seth G S Medical College and KEM hospital Mumbai (http://www.kem.edu/ ), and his MD in Anesthesiology from T N Medical College and Nair hospital Mumbai (http://www.tnmcnair.com ). KEM hospital and Nair hospital, Mumbai are one of the top most premier medical institutes in India and world. Dr. Nana Morkane has attended various Pain management workshops and Pain relief training courses under the guidance of Senior Pain specialists from USA, Australia, UK, Spain and Canada. He has mastered highly advanced interventional pain management techniques. He is involved in the study and research of pain management. Dr Nana is an executive committee member of Indian Society for Study of Pain in Mumbai, India. Dr. Nana Morkane is a national faculty in pain management, he is invited as faculty for various conferences and to train budding pain physicians. He has authored several chapters in textbook of pain management. He has been an active part of the organization team and successfully organized several conferences on pain management. He has also conducted training in ISSPCON, Comprehensive Interventional Pain Management (CIPM) course, Global update on pain etc. Morkane Pain Clinic is one of the Best Pain Clinic in Mumbai and focused on excellent patient-centric care. Known to follow some of the best medical standards, we take utmost care of our patients before and after the Pain Management treatment. Our Motto at Mokane pain clinic is to give patients the best pain relief for a wide spectrum of pain conditions. We are always available to answer any queries related to pain management treatment through our blog or ‘ask your query’ section. Our Pain clinic specialists consider pain as a disease and not a symptom. We help patients resume their normal lives as soon as possible. Our entire Pain clinic Specialists team holds an expertise in the diagnosis, evaluation and treatment of consistent pain. Various pain conditions such as Back Pain, Neck Pain, Shoulder Pain, Sciatica, Lower Back Pain, Spine Pain, Slipped Disc, Knee Pain, Cancer Pain, Myofascial Pain are treated at the Morkane pain clinic. We pride ourselves on our experts, some of whom have been trained at the nation’s most prestigious medical colleges like KEM hospital and Nair hospital. Patients suffering from chronic pain generally have long list of worries, complaints, fears and apprehensions accompanying the pain. Our pain specialists, use a number of treatment modalities including medicines, interventional procedures, dry needling (IMS), physiotherapy to address pain relief. We ensure excellent pain treatment for all pain conditions. Our physicians are educators themselves. Collectively they have authored several publications and are constantly publishing articles in newspapers, magazines and medical journals. They diligently promote the awareness of pain management. Highly skilled in their craft, our specialized pain doctors have undergone extensive pain Management training.